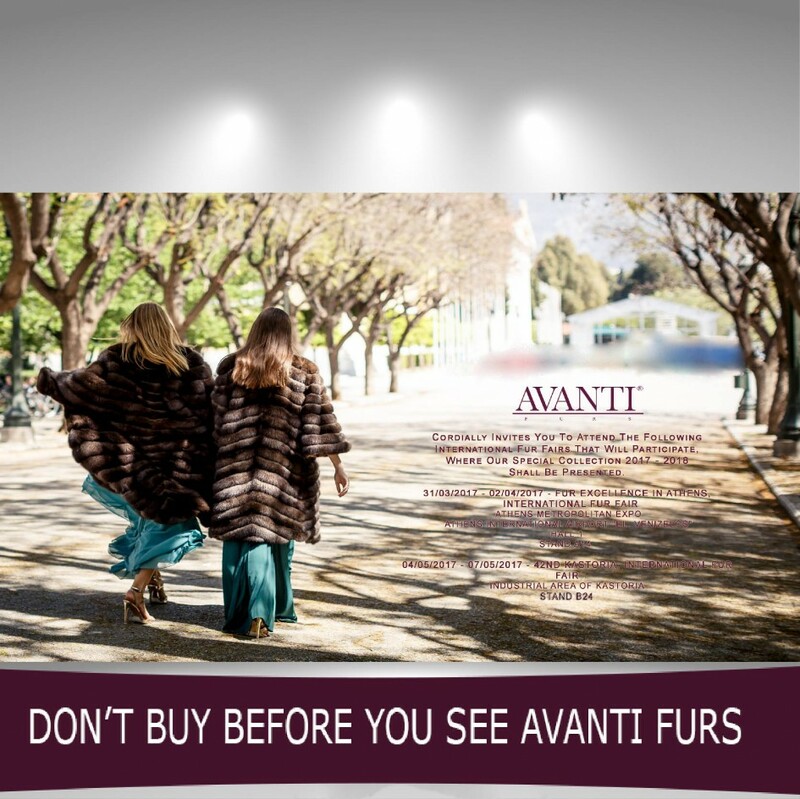 Fur Blog > News > AVANTI FURS participates at the biggest Greek Fur Exhibitions! AVANTI FURS participates at the biggest Greek Fur Exhibitions! AVANTI FURS Cordially invites you to attend the following International Fur Fairs that will participate, where our Special Collection 2017 – 2018 shall be presented.